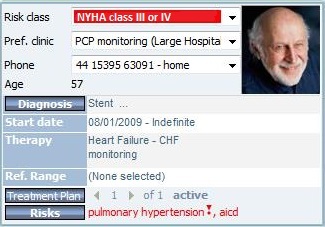 Managing congestive heart failure (CHF) patients can be done safely and efficiently, supporting the patient journey from hospital to community, with the documentation of key information such as diagnosis, referral, assessment, progress monitoring, discharge, transfer and follow-up all in one place with DAWN Heart Failure software. “The team in the heart function clinic see a large number of patients everyday and struggled to coordinate lists of attendees with the relevant paperwork, particularly the patient files with large amounts of information spread throughout them. See the key benefits and features of the DAWN Heart Failure software below and read the case study: Ottawa Heart Institute – Improving workflows with DAWN Heart Failure software, to see how they use DAWN Heart Failure software for managing congestive heart failure patients. 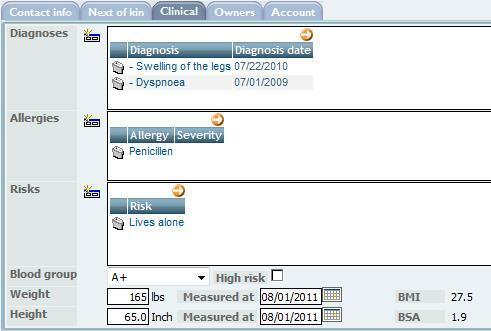 DAWN Heart Failure software facilitates managing congestive heart failure patients in a safe, efficient manner throughout the patient journey by documenting key patient information all in one place for a complete clinical record of all monitoring activity. 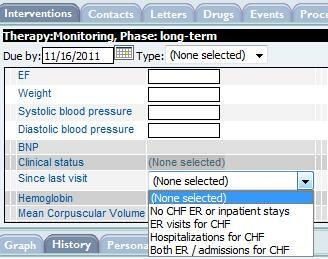 Download the DAWN Heart Failure software brochure. 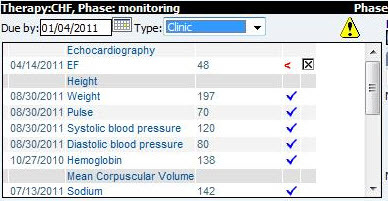 Reporting tools allow adhoc reporting for specific statistics relating to your heart failure service e.g. males over 60 on a particular diuretic; breakdown of patients by ethnicity etc.